Ocala, FL – Mr. Jose A. “Jumbo” Olivera, 68, formerly of Waterbury, died on Saturday, January 12. He was the husband of Elizabeth Rosado Olivera. Jose was born July 7, 1950 in Puerto Rico, son of the late Jose A. and Leonilda Irrizarry Olivera, Sr. 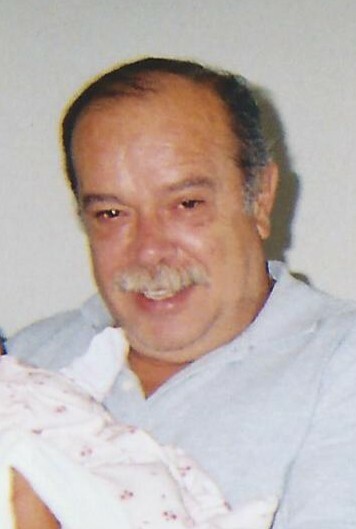 In addition to his wife he is survived by two daughters, Ana and Elizabeth Olivera, both of Waterbury; one brother, Luis “Papo” Munoz of Waterbury; two sisters, Millie Nelson and Sonia Vazquez, both of Waterbury; two grandchildren, Leyana Andrade and Isaiah Maldonado Olivera and many nieces and nephews. Calling hours are Friday from 5:00 P.M. to 7:00 P.M. at the Bergin Funeral Home 290 East Main St. Waterbury. Burial is private.